We were able to finish up the 2013 harvest on Friday the 15th! 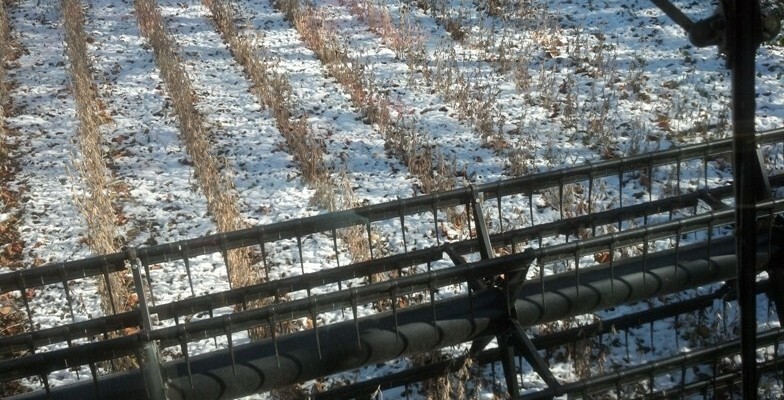 The last couple days of bean harvest took place with snow on the ground but they finally dried down. Corn yields for the year were extremely variable but the bean yields were more than impressive, especially considering the the dry August. We were able to get the small amount of fall tillage done and some fall herbicide applied before the weather turned. Currently we are working on year end paper work and crop insurance claims. It has been another odd year regarding insurance, set up by the high spring corn prices and much lower fall price. Inputs for next year are being purchased and crop plans for 2014 are in progress. Hope everyone has a safe and happy Thanksgiving.